Founder of JothiVita, Ayurvedic Spa & Wellbeing Center. Luz, certified by the Chopra Center for Wellbeing, has been an active Ayurvedic Lifestyle instructor since 2003 and a 1st class Ayurvedic Consultant Graduate from the Chopra Center University. 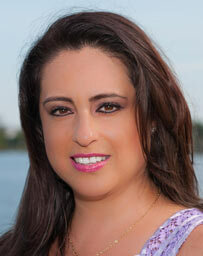 Luz was first introduced to Ayurveda in 1998, starting her studies with Deepak Chopra, M.D. and David Simon, M.D. Since then, she has complemented those studies with the teachings of other widely renowned experts in the field of Ayurveda such as David Frawley and Dr. Suhas Kshirsagar. Born and raised in Mexico City, through her mother’s influence, Luz was introduced to the spiritual philosophy from India early in her teen years. Since then, her interest in developing her knowledge on spiritual matters led her to complete diverse programs and certifications in the areas of transpersonal psychology, meditation, yoga, massage, energy healing, psico-corporal therapy and aromatherapy; all of which she has incorporated into her holistic practice. Luz has also studied under such well respected teachers as, Alfonso Ruiz Soto, PhD and Brian Weiss, M.D., with whom she credits many of her most important personal teaching principles. Luz holds a bachelor degree in Computer Sciences from the Universidad Iberoamericana in Mexico City. She has been a successful business professional working for global corporations in the IT industry for the past 25 years. In 2004, Luz relocated to Florida where she practices today. She is a Florida licensed esthetician (FB9754207) and massage therapist (MA 58381), and nationally certified by the National Certification Board for Therapeutic Massage and Bodywork (NCBTMB – 583442-09). Additionally, Luz is a standing member of the American Massage Therapy Association (AMTA). Luz is thrilled to bring JothiVita to Hollywood, Florida and provide her clients with a complete range of authentic services based on the fascinating science of Ayurveda.